Sunrise on Sept. 17 at the Sacred Stone Spirit resistance camp along the Cannon Ball River near the Standing Rock Sioux Tribe's reservation. Jeff Ferguson, a Spokane tribal member and a freelance photographer who regularly contributes to the Inlander, felt drawn to document the Standing Rock Sioux Tribe's protests of the Dakota Access Pipeline — even more so when a friend of his showed him footage of the conflict between DAPL security and the protesters. So Ferguson went to North Dakota last month and documented the efforts of the people opposing the pipeline. 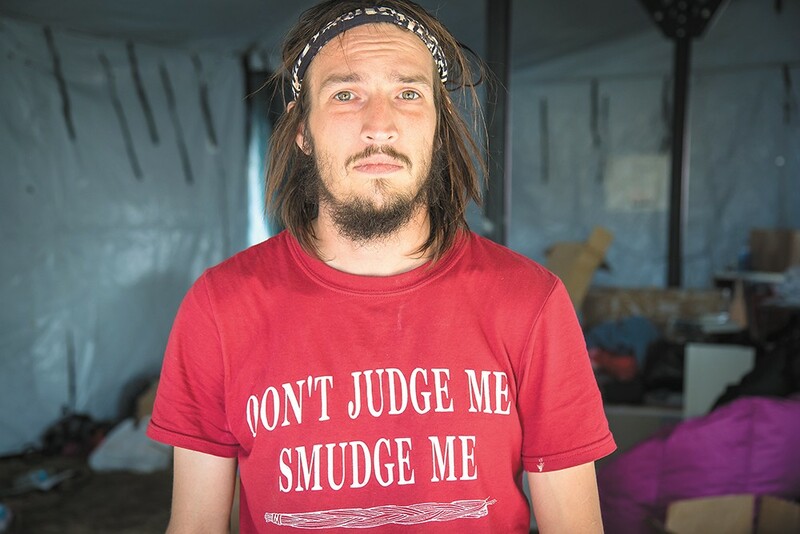 The photos seen here show who these people are, where they're camped and how they're getting by. 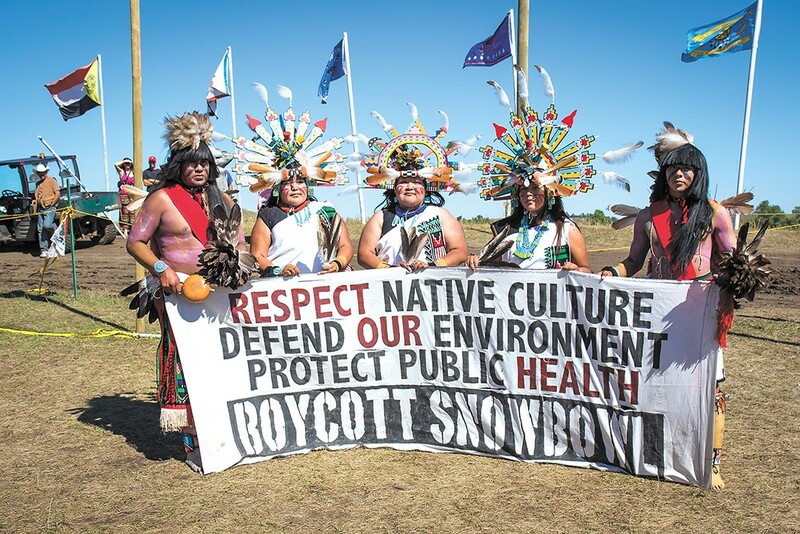 Members of the Hopi tribe join the fight in North Dakota. The proposed Dakota Access Pipeline would run for 1,170 miles southeast from the Bakken region of northwestern North Dakota to southern Illinois. It's a $3.7 billion oil pipeline project by Texas company Energy Transfer Inc. that would carry 470,000 barrels of oil a day. The Standing Rock Sioux tribe says the pipeline would harm ancestral lands, could potentially cause catastrophic environmental damage and would threaten the water supply of millions of people. 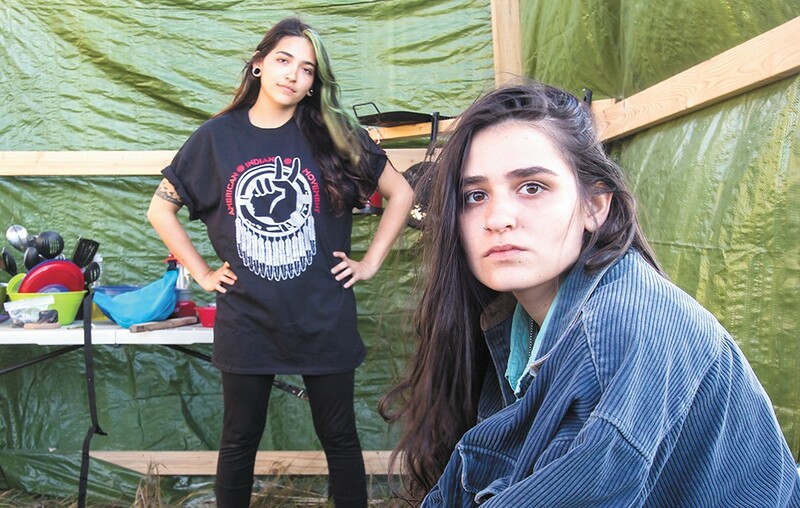 Lena Frame of the Seminole tribe and Tai Trewhella of New York, both 20, maintain a kitchen at the camp. Since April, Native Americans have gathered in the thousands outside a small town called Cannon Ball in North Dakota to protest the pipeline. The Standing Rock Sioux tribe, arguing that it wasn't adequately consulted by the federal agency that authorized permits for the project, asked a federal judge to halt construction on the project. 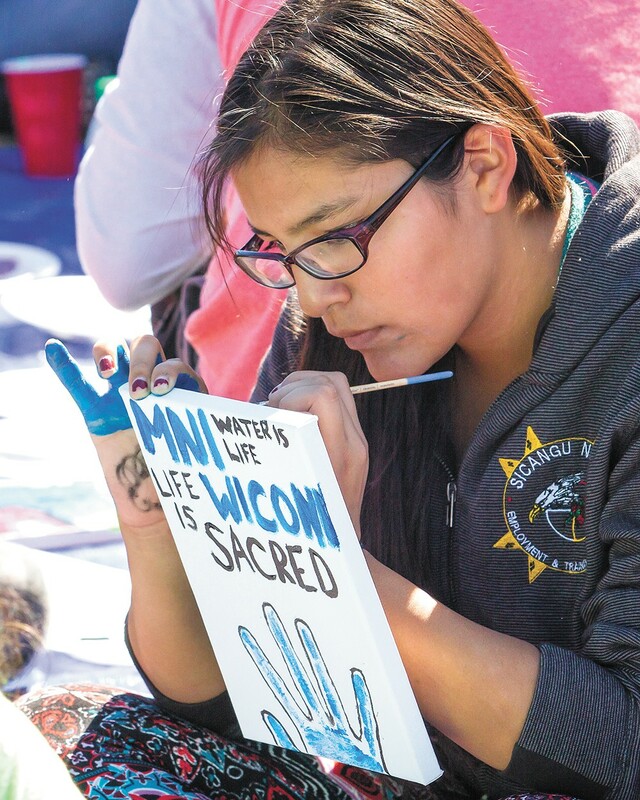 The judge declined that request and ruled that the pipeline would be allowed to proceed, but the same day, federal agencies announced that work would be halted near the tribe's reservation until the Army Corps of Engineers could revisit its previous decisions. Meanwhile, tensions between the protesters and the project's security grew to the point that protesters who broke through a fence to a construction site were met by guard dogs hired by the company, and some protesters reportedly were bitten. On Monday, Spokane City Council passed a resolution in support of the Standing Rock Sioux tribe's efforts to oppose the Dakota Access pipeline after Ferguson and others presented the council with a signed letter from the tribe's executive director. 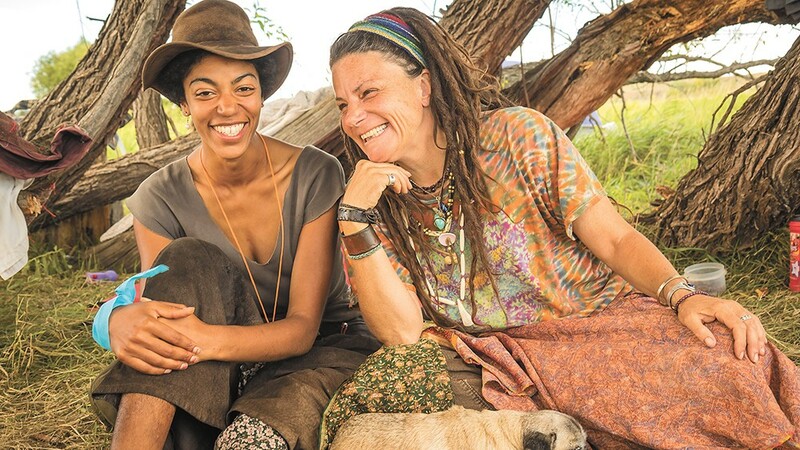 Hannah Gladstone (left) and Loretta Red Dog came from California. 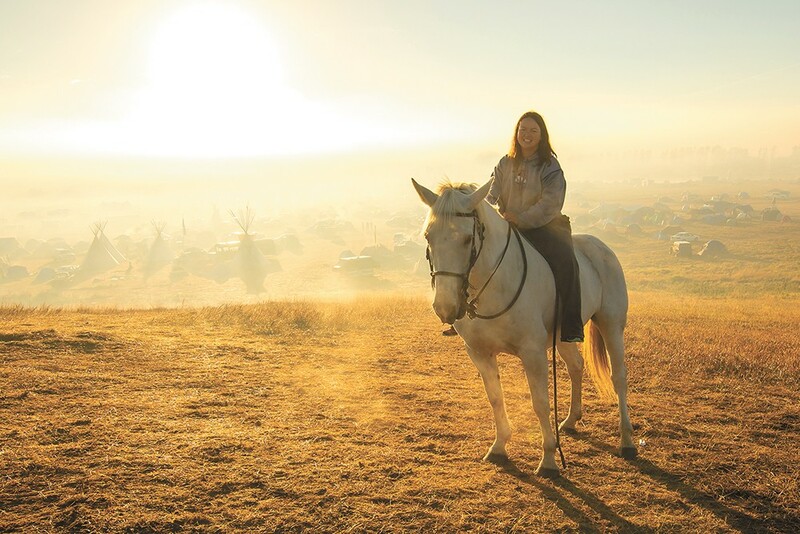 Tracy Hsu from Elgin, North Dakota, and her horse Ashley. Alexander Fred of Dayton, Ohio, helped to organize a temporary school for children at the resistance camp. 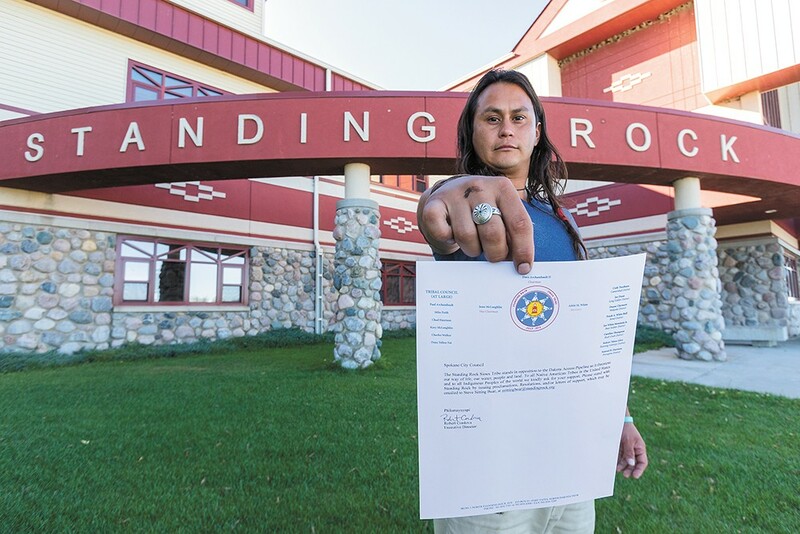 Jacob Johns, a Spokane resident and Gila River Pima tribal member, in front of the Standing Rock Sioux Tribe administration building, with a letter from the tribe asking the Spokane City Council to support efforts to stop construction of the pipeline.